Sunday School meets each Sunday during the 9.45 Parish Eucharist. There are 2 groups: the younger group – Year 4 and below, and the older group – Year 5 and above – also know as “SAINTS”. SAINTS join the congregation for The Peace, while the younger children remain in Sunday School until it’s time for Communion. Both groups talk about the bible readings set for each week and do a range of activities around them – we sing, talk, draw, write and do plenty of craft. Sometimes Sunday School follows special themes, such as “The Ten Commandments”. We have up to a dozen Family Eucharists each year, where the children are in church for the whole service and often lead elements of the worship. 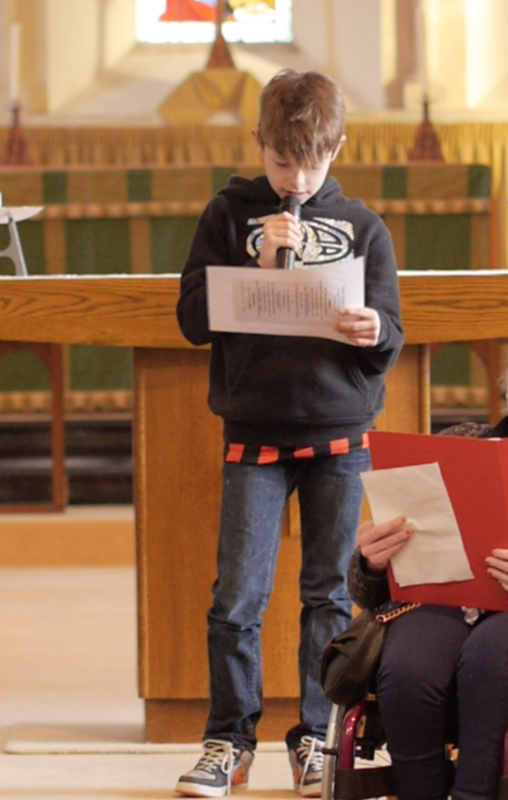 Every year we have a Sunday School Play that takes place during the main service, giving our young actors the chance to teach the whole congregation about God. There are many Sunday School events during the year. 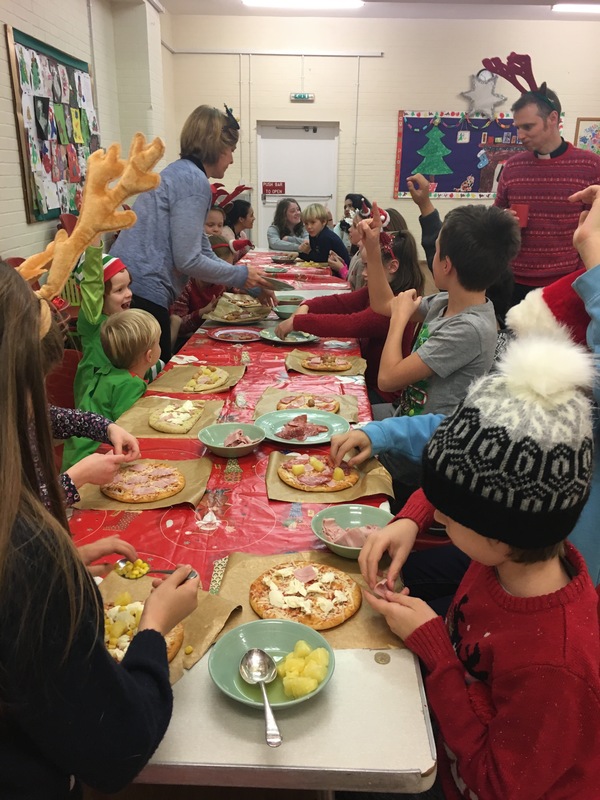 These range from church-based activities such as a Children’s Way of Cross and Christingle to social events such as a summer campfire, ice skating and a Christmas Party. In addition to this, SAINTS have their own special programme of activities. For many years it has been the practice for young church members to take their place as servers as their first public duty in the church. 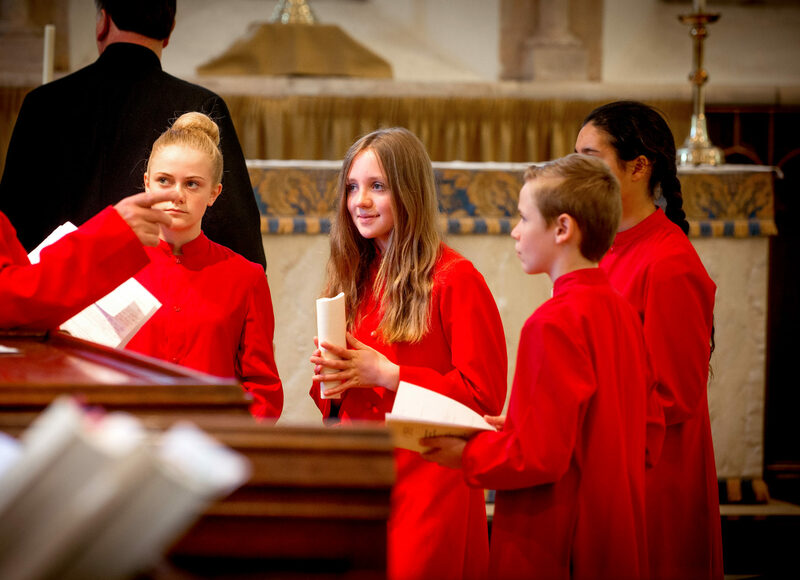 Our team would welcome new recruits (from about Year 5 and above) who would like to share the privilege of serving during the Eucharist. Children in Year 5 and above have the opportunity to become Young Readers. Young Readers read the lessons and prayers at family eucharists and often take the lead at youth services. This important role enables them to engage with scripture, actively participate in worship, and build their confidence as speakers. Children in year 4 and below also have the chance to perform at certain services and events. Contact Elise Eminson – 01243 262713 – to find out more about Young Reader training and rehearsal.